OJSC “Legal agency “SRV” has carried out its activity on legal services market and has assisted organizations of Southern and North Caucasian Federal Districts since June 11, 1998. The need for its creation was due to the expansion of legal services provided by individual entrepreneur Savichev Roman Valerievich,who has operated on this market segment since June 1993. He was one of the Agency founders and continues to successfully manage his business. Since March of 2007 R.V. 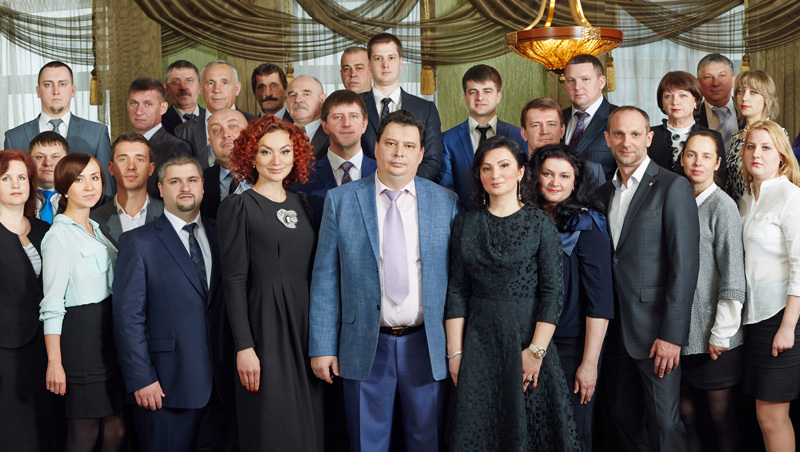 Savichev has been actively engaged in politics and currently is also the Deputy of the Stavropol region Duma. Over the time of its existence Group of companies“SRV”, which includes OJSC “Legal agency “SRV”, LLC “Legal agency “SRV”, LLC“Consulting group “SRV” and LLC “SRV” managed to effect significant results, in terms of net profit in 2014 (272 800,3 thousand rubles) it is now one of the leaders among the companies of Russian Federation in the analogous professional field. Main area of activity of OJSC “Legal agency “SRV” is therepresentation of Clients in arbitration courts. Over 1998 – 2014 and five months of 2015, the Agency employees had participated in 15 986 arbitration court sessions in 34 subjects of the Russian Federation. As a resultof consideration of our Clients’ cases, arbitration courts have adopted 3 555 first judgments and judgments in error, including 2 499 judicial acts on cases resulting from civil matters and 1056 judicial acts on tax, land, customs and other types of administrative disputes. 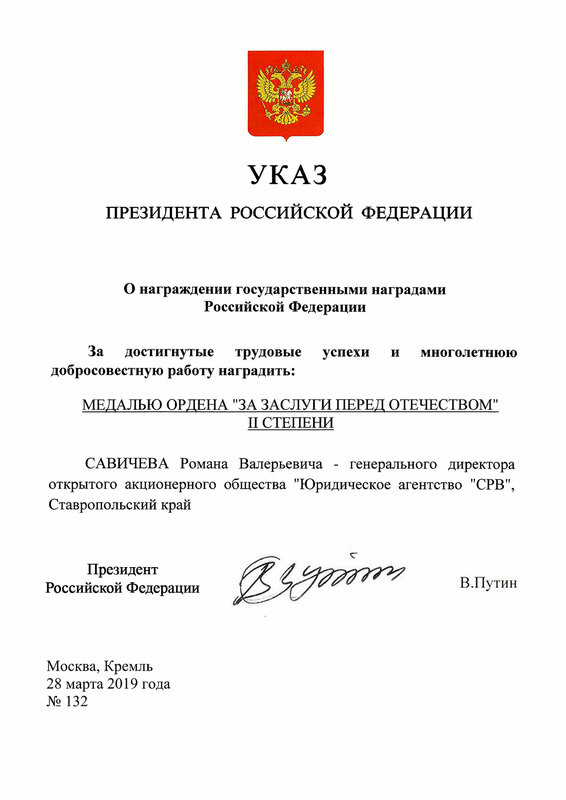 Over 1998 - 2014 and five months of 2015, 566 cases had been considered with the participation of the Agency attorneys in Federal Arbitration Court of the North- Caucasian District, 38 cases- in Federal Arbitration Court of the Moscow District, 9 cases inFederal Arbitration Court of the Northwest District, 3 cases in Federal Arbitration Court of the Ural District, 15 cases in Federal Arbitration Court of the Povolzhsky District, 52 cases in The Supreme Arbitration Court of theRussian Federation. Over the same period 1332 civil , administrative and criminal cases had been considered by regular courts with the participation of lawyers and attorneys of the Company,including 24 cases in the Supreme Court of the Russian Federation. Since September of 2009 LLC "Legal agency "SRV"publishes specialized practical magazine “The Reporter of economic justice of the South and North-Caucasian Federal Districts”, where one can find topical articles on judicial disputes with the participation of our Clients, whose interests were represented by the employees of the Group of Companies "SRV". Full set of magazine issues can be found on ourweb-site by clicking the link “The Reporter of economic justice of the South and North- Caucasian Federal Districts” at the left top corner of our home page . Net profit growth dynamicsof the Group of Companies "SRV"
Over 2002 – 2014 and five months of 2015 OJSC “Legal agency “SRV” has effected 74 Agreements of Cooperation with legal companies of Moscow, St. Petersburg,Kazan, Makhachkala, Krasnodar, Rostov, Voronezh, Volgograd, Astrakhan, Nalchik,Vladikavkaz, Cherkessk and other industrial centers of Russia for providingClients with consulting services of legal nature. According to the terms of the seagreements, Clients of Legal agency “SRV”have the opportunity to employ legal services by other legal companies, located on the territory of different subjects of the Russian Federation within the frame of existing Contracts with theAgency. In 2007 the Group of Companies “SRV” opened its branchoffices in Moscow, Krasnodar, Makhachkala, Vladikavkaz and Izobilnyi. 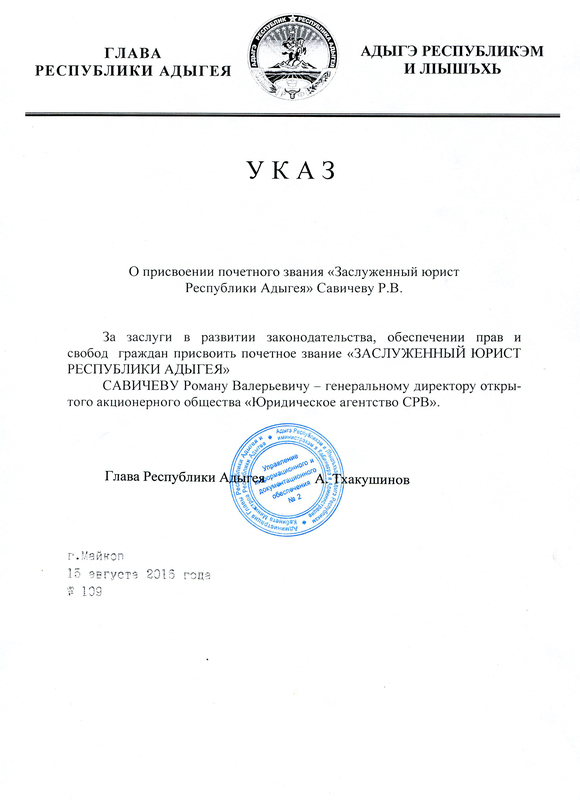 In 2008 the Group of Companies “SRV” opened its branchoffice in the town of Yessentuki due to establishment of Sixteenth Arbitration Appeal Court whichcarries out inspection of judicial acts on appeal, adopted by arbitrationcourts of the Republic of Dagestan, the Republic of Ingushetia, the Kabardino-Balkarian Republic,the Republic ofKalmykia, theKarachayevo-Cherkessian Republic, the Republic of North Ossetia-Alania, Stavropol region and the Chechen Republic.